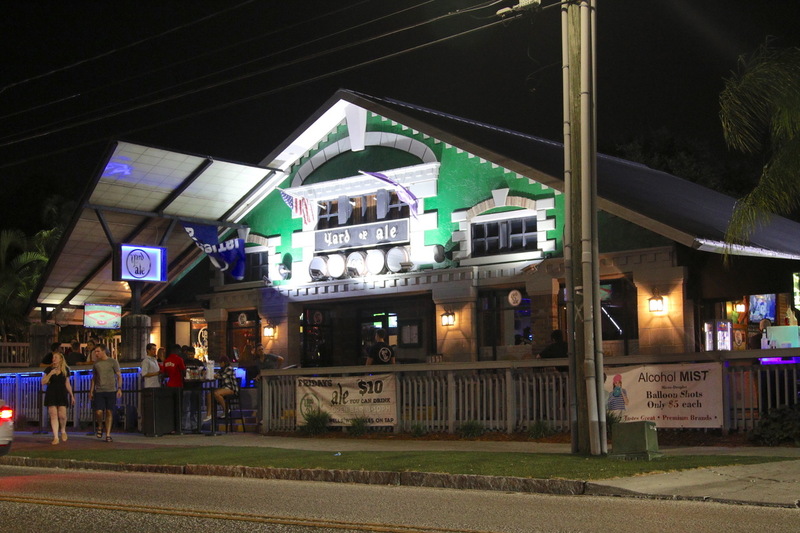 With seemingly countless clubs and bars in Tampa and the college students back in town, many students have been going out already or will be soon. When hanging out with friends it can be easy to forget some simple safety rules. It’s important to have a good night out and get that college experience, but you want to survive it and be able to remember all the awesome things that happened. “Watch your drink and never take a drink from someone you don’t know. If someone gets you one make sure you see the bartender give them the cup,” said Joe Dicicco, a former bouncer for Hyde Park Cafe (HPC). As many as eight percent of college students and young adults reported having been drugged by someone else. To avoid this happening to you, hold your cup right in front of you up higher where you can see the top of the cup. It is hard to find people in a club or bar when they are crowded, so it helps to hold hands or hold on somewhere to the other person to avoid being separated when walking through a crowd as it’s important to stick together. When your friend has to go to the bathroom, go with them, not into the stall, and wait right outside for them. Having a friend is also a good way to get out of uncomfortable situations regarding unwanted flirting because they are an excuse to leave. It is a good idea to have a guy who you trust in the group you bring. “Despite the movement of society [towards bettering it for women], reality is that women are still targeted when alone so having a guy in your group can help deter being targeted or help prevent uncomfortable encounters or getting you out of an uncomfortable encounter,” said Gabrielle Cwanek, senior accounting major and former Residence Assistant at UT. Many have heard of a designated driver but with driving services such as Uber, not every group designates a person to remain sober. Even if you are not going to be driving, problems still can occur and people may need help. “Pick someone to stay sober for the night, even if you don’t need a DD, to make sure everything ends up okay,” Cwanek said. If someone in your group is driving and they drink at all, everyone should take an Uber or a similar way to get home. Having your phone stolen can completely ruin your night and potentially create unsafe situations if you get separated and do not have a way to get an Uber or call for help. To help eliminate the chances of someone swiping it or any other valuables such as credit cards or keys, keep them in your front pockets or tucked away where you would feel someone taking it. Do not put important objects in your back pockets. Bring a purse that has a zipper if you can, and wear it crossbody with it resting on the front of your hip, not behind you. If it opens on the side, keep that side facing in to make it harder for potential thieves to open. Before you leave, make sure you have everything you need for a fun, stress free night out. You will need your student ID for when you get back to campus and ID to get into the club or bar. Make sure you charge your phone to full to make sure it will last the night and you can make calls in an emergency. You should also bring your keys, even if someone will be home to let you in, just in case. Watch how much you drink. As your intoxication level increases, so do the odds of getting lost, vomiting, ejection from the club or making decisions that could put you or someone else at risk. Make sure to drink water as often as possible and go out on a full stomach. The less you drink, the better you’ll be able to do homework the next day or the more fun you’ll have at the beach because you won’t be hungover.